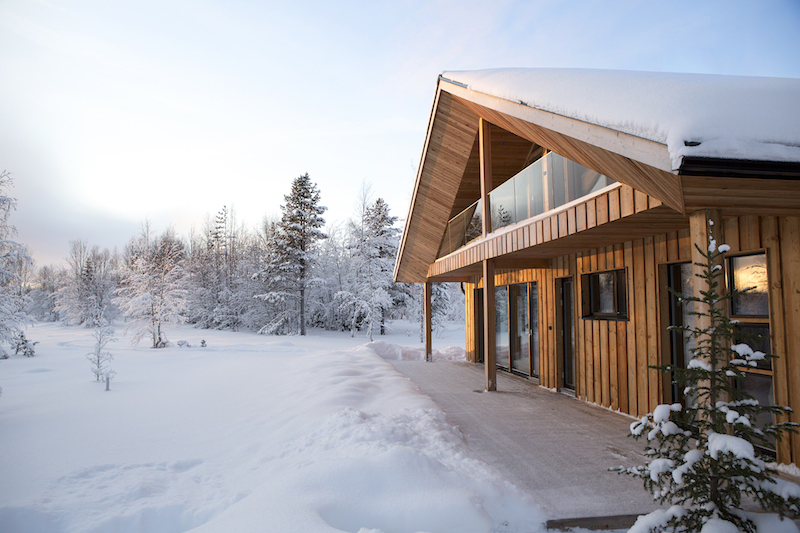 Chalet Lompolonmohkki is a wooden villa in Lapland, Finland. 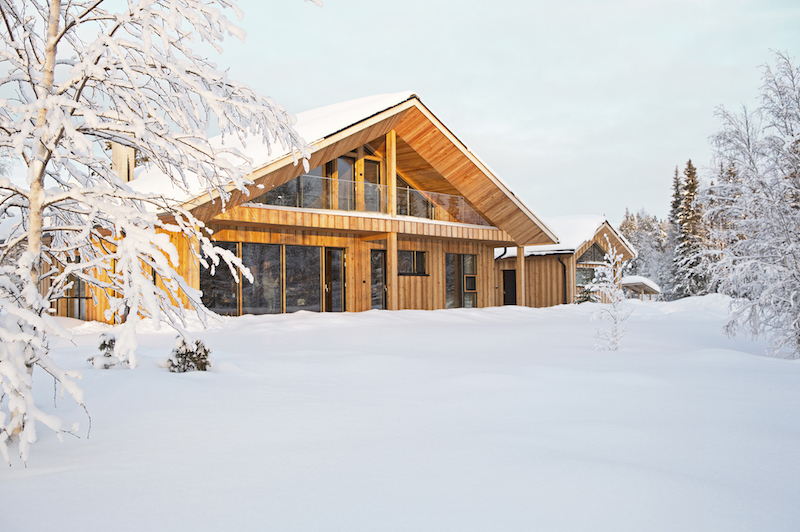 Designed by Joarc Architects, this beautiful piece of architecture fits perfectly to its surrounding nature and comes alive especially in the winter time, contrasting the warm wood and pure white snow around. 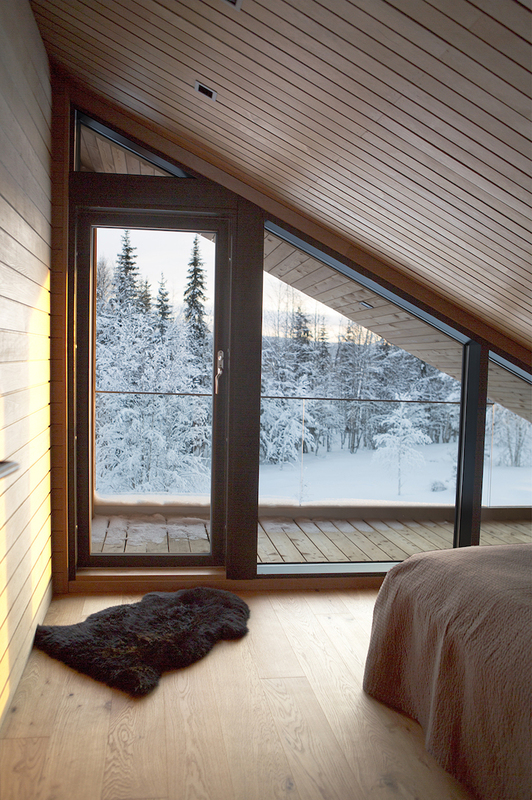 Large windows lets you enjoy the warmth of indoors same time while admiring the nature. 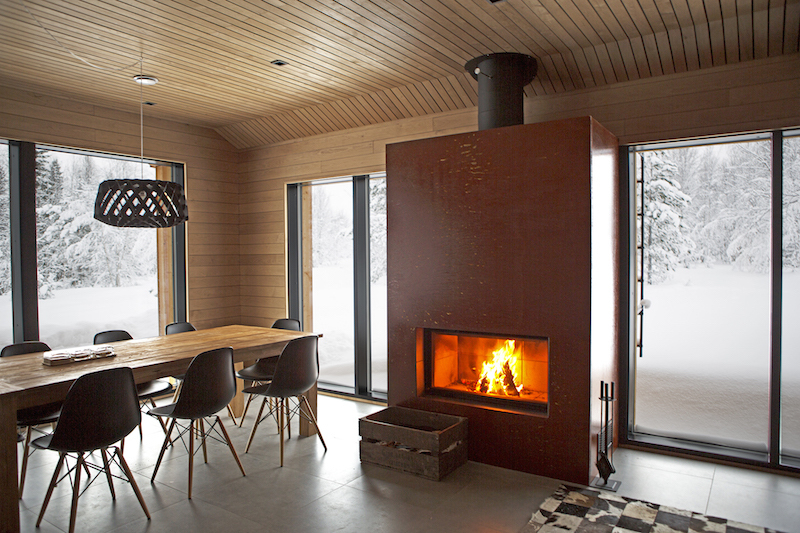 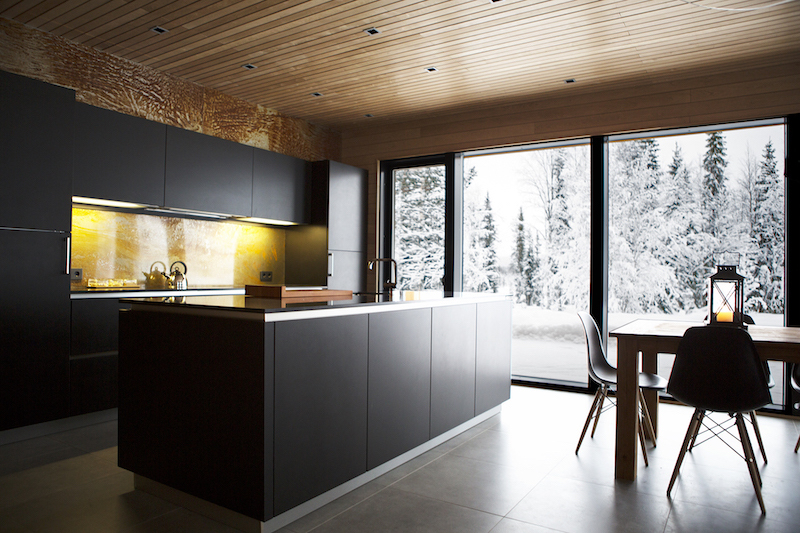 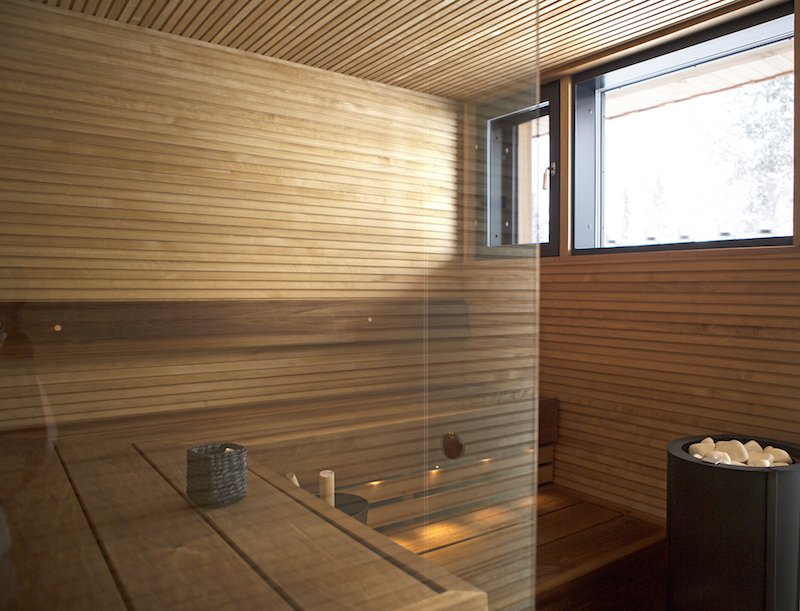 The wood is strongly present in both architecture and interior design. 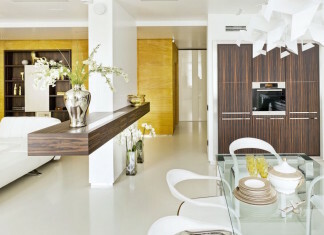 Keeping the decor simple, even the smallest piece of design stands out beautifully, highlighting the earthy tones of the house. 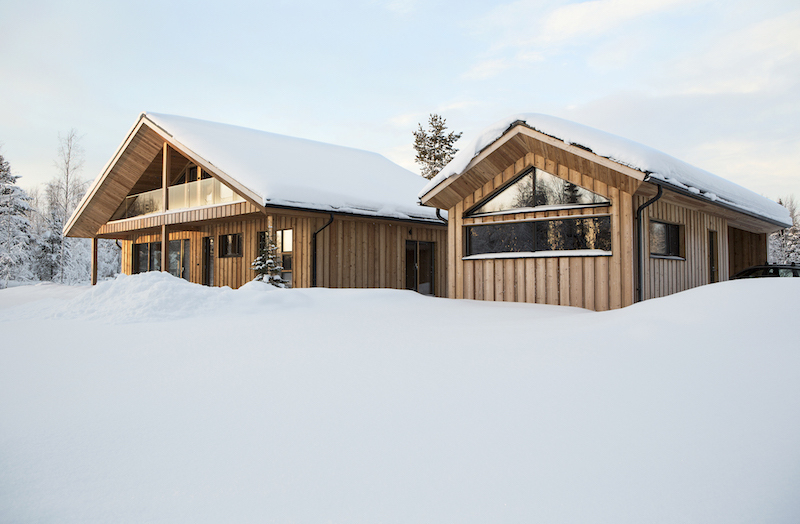 Open and social floor plan, contemporary yet timeless design and the overall feel of this villa offers a unique experience of the Northern environment.